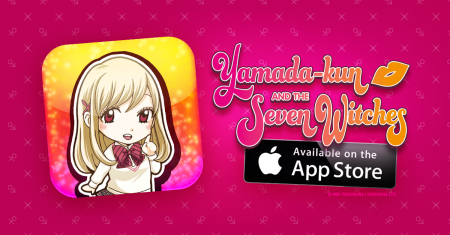 Just in time for Halloween, we've made some updates on the Yamada-kun and the Seven Witches Manga App for iOS. In addition to adding Volumes 3 and 4, you can also now read the complete interview with artist Miki Yoshikawa! Miki Yoshikawa has exceptional talent. Not only because she’s one of the few female mangaka (manga artists) who’ve succeeded in shonen (boys’) manga, but because her approach to manga is so genuine. If you ever get lucky enough to meet her, you’ll quickly realize that what makes her a such a unique person is also what makes the characters in her manga so much like real people. During her visit to Anime Expo 2015, she shared her thoughts and experiences as the author of Yamada-kun and the Seven Witches. Relive some of the excitement around her Stateside visit in this interview and the accompanying photos from her events! Miki Yoshikawa made her pro manga debut in 2003 with Glory Days, a one-shot in Kodansha’s Magazine Special. After a stint as an assistant for Hiro Mashima (Fairy Tail), she published another one-shot, Yankee-kun to Megane-chan, in Shonen Magazine Wonder in 2005. Thanks to its deft comedic touch, Yankee-kun went on to become a short series and later Yoshikawa’s first long-running series in Weekly Shonen Magazine. It was adapted into a live-action drama in 2010-11. Yoshikawa’s best known work, Yamada-kun and the Seven Witches, started serialization in 2012 and has since sold more than 3 million copies. It’s been adapted into a live-action drama, in 2013, and a TV anime, in 2015. Q. How did you become a mangaka? Miki Yoshikawa (Y): When I was nineteen, I just drew a manga and sent it in to a contest. I sort of studied other manga and picked up how to draw. Then one day, my current editor called me and asked, “Do you want to become a mangaka?” Out of pure excitement, I said, “YES!” [laughs] That was the beginning of everything. Q. What was the editor’s advice at the time? Y: I remember telling my editor this was actually the first time I’d ever drawn manga, so it might be a little rough. He totally agreed with me. [laughs] I appreciated his honesty, though. I know he wouldn’t give me false praise if the manga wasn’t actually interesting. That’s what make it so easy to work with him. We’ve been working together ever since—leading up to my debut and also on my current series. Q. You’ve also worked as an assistant for Hiro Mashima (the creator of Fairy Tail). Y: After my editor contacted me, I really thought I could be a mangaka. But I also knew that I had to get better. At that time, Mashima-sensei was looking for an assistant, and I knew I wanted to work with him. 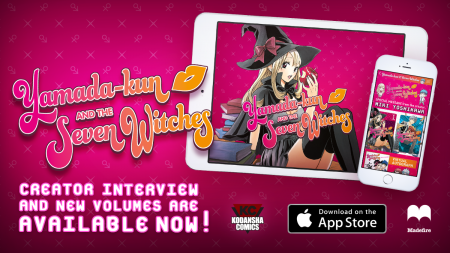 STOP … To read the full interview with Miki Yoshikawa, download the Yamada-kun Manga App!